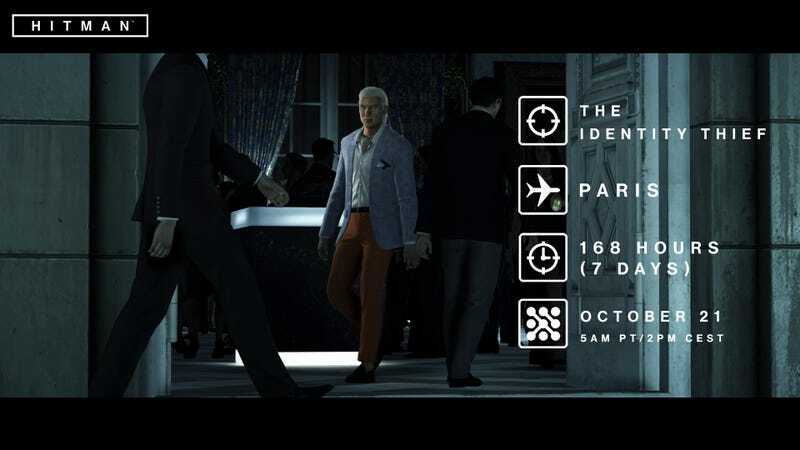 Hitman’s 12th Elusive Target, the Identity Thief, goes live today in Paris for a week. Hitman’s 12th Elusive Target, the Identity Thief, goes live today in Paris for a week. Surprise target! You can watch the briefing video here.